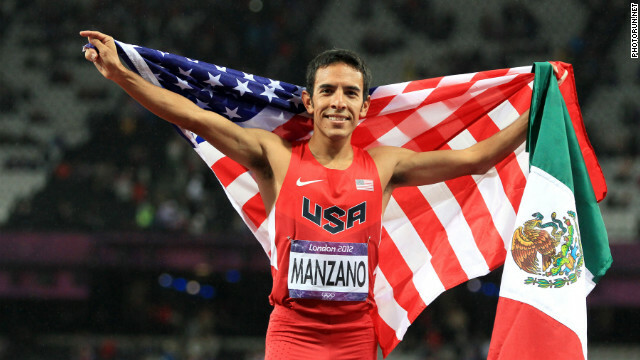 Leo Manzano waved the flag of the U.S. and Mexico after winning second place in the 1500-meters final. San Diego (CNN) - Every few years, I reassess how I feel about Mexican-Americans who wave Mexican flags. Much of it has to do with who is doing the waving and under what circumstances. 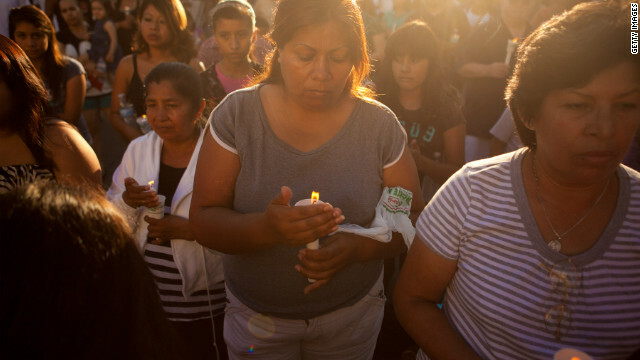 In 2006, I wrote a column saying it was a bad idea for immigration reform advocates to wave Mexican flags as they marched through U.S. cities such as Phoenix, Chicago, Dallas and Los Angeles. It's illogical to show your allegiance to one country while demanding accommodation from another. But in 2007, I penned another column after attending a Luis Miguel concert in Las Vegas where fans of the Mexican singer unfurled Mexican flags. Nothing wrong with that, I concluded. It's all about context. There is a big difference between a political protest and a concert. After Manzano finished his race and secured his medal, he did what athletes typically do at the Olympics. He held up his country's flag - the Stars and Stripes.